The hotel features free private car parking on hotel grounds, facilities for disabled access, hotel lift, complimentary wifi access and a range of other standard and by request only services. Our sample menu gives a flavour of head chef Brid Hallihan’s attention to taste and detail, in her a la carte and dinner menus served in the dining room, carvery lunch served daily and the full bar menu. We cater for small and large parties and all types of celebrations – Christening, Communion, Confirmation, Weddings. 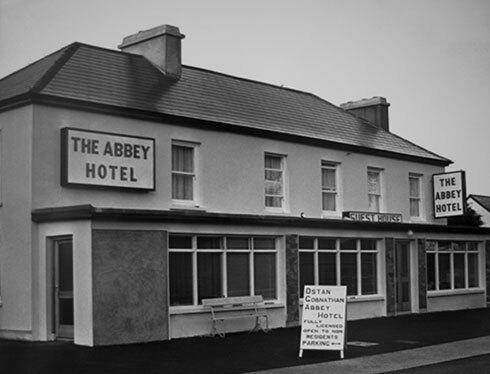 At the Abbey we take pride in being a family run hotel, held in the Creedon family since the tradition was established in 1969, to the present day. 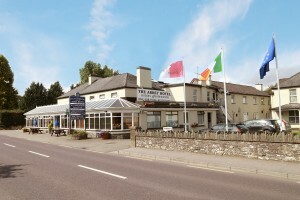 The Abbey Hotel is situated on the border of Cork and Kerry on the main Cork / Killarney road (N22), nestled in the peaceful Gaeltacht area of Ballyvourney – the ideal base from which to explore the beautiful countryside of Cork and Kerry. With 39 newly appointed en-suite bedrooms and attractive rates for your stay at The Abbey, you can enjoy a relaxed atmosphere in our recently refurbished restaurant or the warm and friendly ambience in the hotel bar. Conferences and meetings are catered for or you can mingle with guests at your party or wedding reception in our 300 seat function room with dedicated bar. Our team at The Abbey take a personal approach to creating a very special ocassion for our valued customers. And of course, there’s always entertainment at The Abbey Hotel. There is live traditional Irish music and singing sessions in the bar every Saturday night where all musicians and singers are welcome. In the ballroom every Thursday night we have set dancing with live music. Guests and locals alike enjoy all The Abbey Hotel Ballyvourney has to offer.